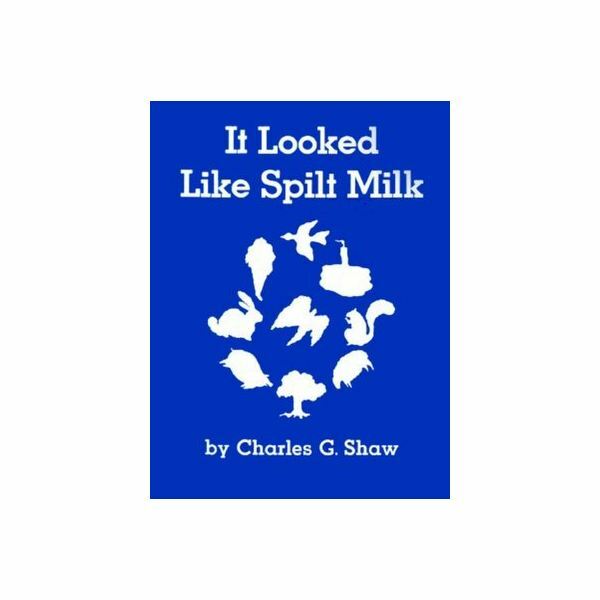 It Looked Like Spilt Milk by Charles G. Shaw, is a great book for preschoolers. This repetitive story about clouds changing shape sparks the imagination as the book shows different cloud pictures and repeats the line, “Sometimes it looked like a _____, but it wasn’t a ______.” At the end of the story the book reveals, “It was just a cloud in the sky.” This story is perfect for springtime, clouds, wind, weather and kites units. If you’re looking for a story to build a spring thematic unit around, you can’t beat It Looked Like Spilt Milk. Preschool activities like the ones below will get you started. After reading the story, It Looked Like Spilt Milk, discuss with your preschoolers how clouds can take different shapes when the wind blows them and if we use our imaginations, we can see different objects in the clouds. Have students make their own cloud picture, which is a great bulletin board idea as well. Using white tempera paint and sponges, students will make their own cloud picture on blue construction paper. While your preschoolers are sure to know what their picture is, you may not, so be sure to write what the picture is at the bottom of the page in magic marker. For an easy bulletin board, start with a kite border, and simply arrange the cloud pictures on your bulletin board. Place some birds and kite pictures randomly throughout the bulletin board as well. A sun shining in the top right corner makes a nice touch. Title the bulletin board, “Sometimes it looked like a …” The labeled pictures serve to fill in the blank. To prepare, use tracing paper and trace some of the various shapes from the story. Some of the shapes from the story include an ice cream cone, birthday cake, tree, bird and a rabbit. Make at least four of each of the shapes using white tagboard or other stiff paper. Glue cotton to each of the shapes to make them look more like clouds (cotton gives the shapes a nice texture for tactile exploration). Using sentence strips and the patterns, make a variety of strips with different repeating cloud patterns on them. Use the cloud shapes and pattern strips for a math center activity. Students will choose a pattern strip and use the cloud shapes to copy the pattern on the chosen strip. Several students can do this center activity at the same time. Preschoolers can also choose to develop their own pattern using the cloud shapes. Sing the following song together during circle time to bring home the concept that the wind is responsible for changing the appearance of the clouds and moving them across the sky. If you’re planning a wind, springtime or kites unit, don’t forget to include It Looked like Spilt Milk. Preschool activities like the ones in this article stimulate little imaginations and drive home basic preschool concepts. This classic story is one that you won’t want your students to miss.